Before you start to wonder about the authenticity of the stuff in your glass, I should point out that such instances are rare. (Significantly, the peach-enhanced winery has since gone out of business.) Almost without exception, wine is made from grapes, albeit with a helping hand from a packet or two of yeast. The paradox is that, despite what you think, very few wines actually taste of grapes. The miracle of fermentation turns a sweet and sticky raw material into something that is far more interesting. There are thousands of grape varieties at a winemaker’s disposal, from the highly obscure to the well-known sextet of Riesling, Chardonnay, Sauvignon Blanc, Merlot, Cabernet Sauvignon and Syrah (Shiraz). 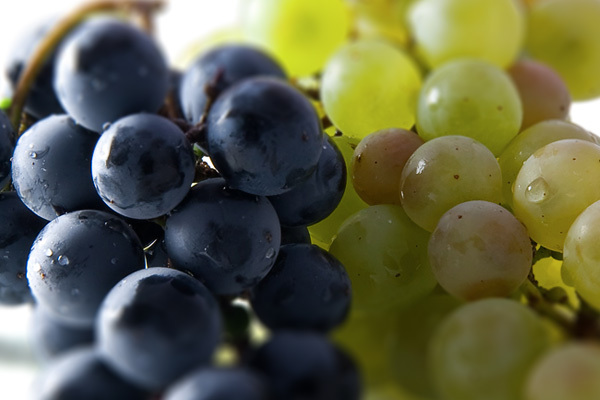 These all have their own distinctive aromas and flavours, but none is what wine tasters call ‘grapey’. That term is reserved, almost exclusively, for Muscat. Muscat comes in four basic guises, and those are Muscat Hamburg, Muscat of Alexandria, Muscat à Petits Grains and Muscat Ottonel. These are some of the oldest varieties known to man and they’ve been grown in Europe since Aristotle first scratched his forehead. The Muscat family (call Moscato in Italy, Brown Muscat in Australia and Moscatel in Spain and Portugal) is very versatile, producing everything from frothy Asti Spumante to powerful, fortified wines such as Muscat de Beaumes de Venise and the darkly seductive Rutherglen Muscat. But its offspring nearly always smell and taste of fresh grapes. Many of the best Muscat wines are made from Muscat à Petits Grains, the variety with the most concentration and finesse. (Muscat Hamburg is worth crossing a busy motorway to avoid, by the way). I say finesse, but everything is relative; even the subtlest Muscats can be extremely pungent, which is why they’re sometimes known as ‘one-glass wines’, especially if they’re sweet and fortified. The driest (and frequently most approachable) examples are made in Alsace, but even these are recognisably grapey. Maybe this shouldn’t matter: expecting Muscat to be subtle or complex is like asking the Carry On team to perform Hamlet. Grapeyness is its greatest asset.